WisconsonSmiles features a world-class team who each specialize in top-performing areas of dental excellence. Each team member holds the highest standards with providing one to one sincere care. There is nothing more important to them then making sure that your world-class treatment is matched with world-class gentleness. They will ensure your experience at WisconsinSmiles will be second to none. Dr. Roberto Monteagudo lives in Milwaukee and makes family time with his wife, Gina, and their seven children a top priority. He also enjoys outdoor activities and is deeply committed to giving back to his community through charitable events such as Dentistry from the Heart, to which he donated over $20,000 in services over the last two years. He also provides academic scholarships to local youth in the Milwaukee community. His warmth and caring combined with his commitment to patient comfort through sedation dentistry, leading edge, gentle, and non-invasive technologies is the reason that his patients travel long distances to see him. He is an expert in advanced dentistry and aesthetics, full mouth reconstruction, neuromuscular dentistry (jaw joint disorders, or TMD), and sedation dentistry. When you come to our dental office, you can count on being listened to, treated with sensitivity, and having your needs placed first. 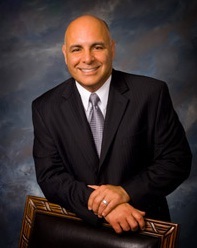 Dr. Roberto Monteagudo graduated in 1990 from Marquette University School of Dentistry. He advanced his education at the Internationally Renowned Las Vegas Institute of Advanced Dental Studies where he graduated in the fields of advanced aesthetics, full mouth reconstruction, neuromuscular (TMJ), and sedation dentistry with recognition in academic excellence. Speaking frequently throughout Wisconsin regarding the advancements in dentistry and patient education, Dr. Monteagudo educates his patients and other dentists, alike. Additionally, he serves on numerous boards for community betterment. Dr. Monteagudo and his warm, friendly, and knowledgeable team would love to welcome you to our dental practice family so that you can experience a gentle, stress-free appointment.